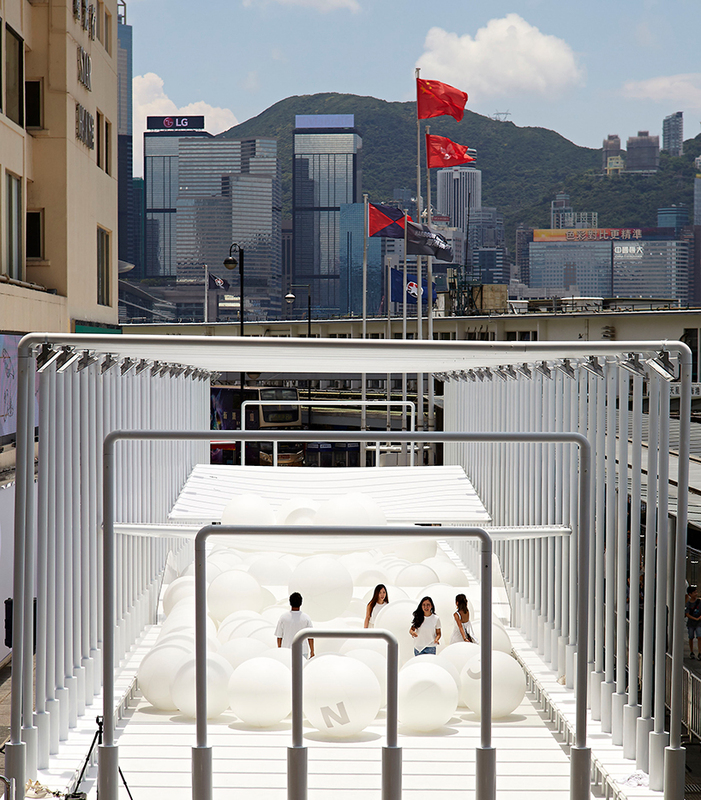 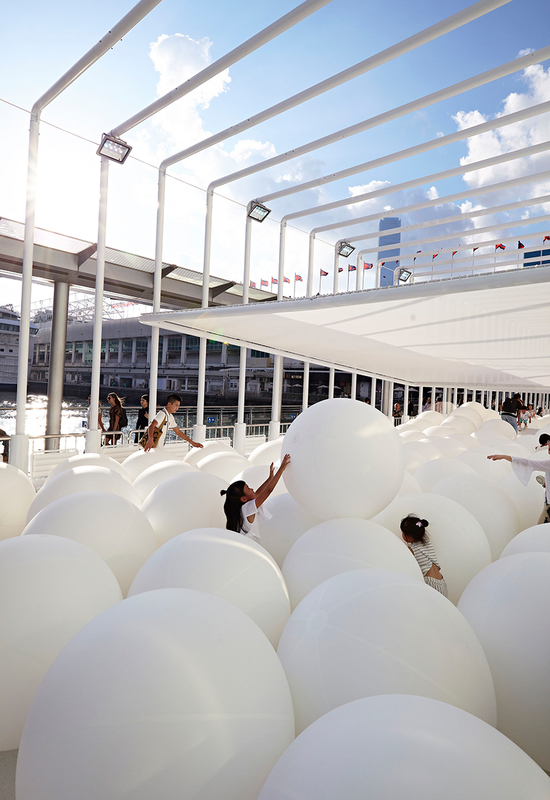 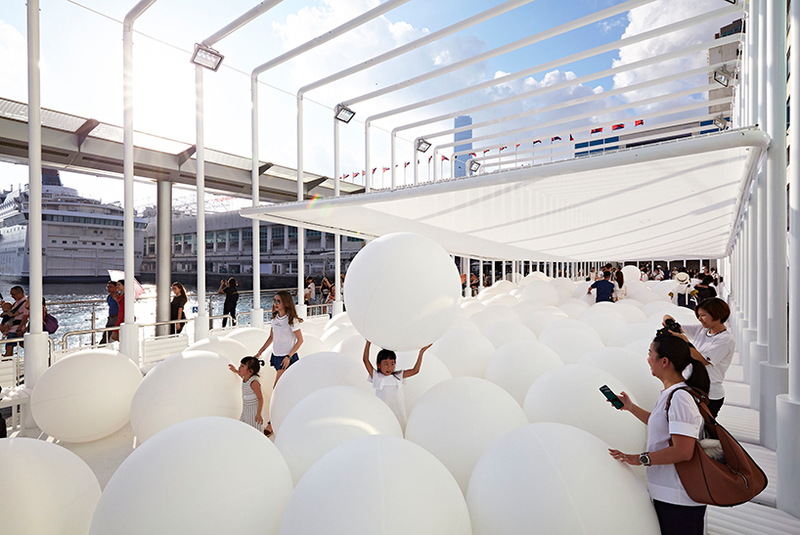 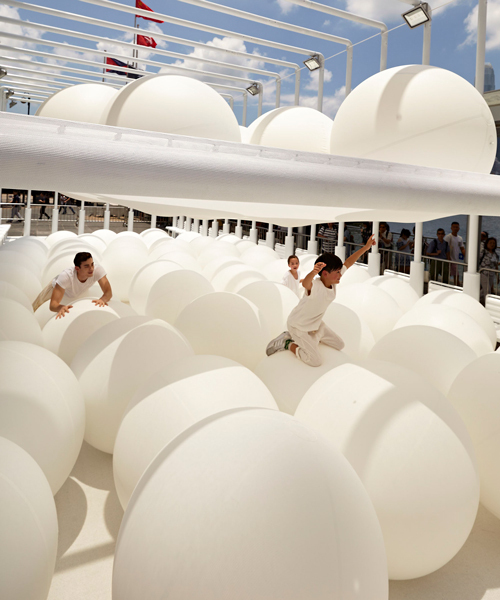 snarkitecture scales up the ordinary bouncy ball to become a surreal interactive playground along the hong kong waterfront. 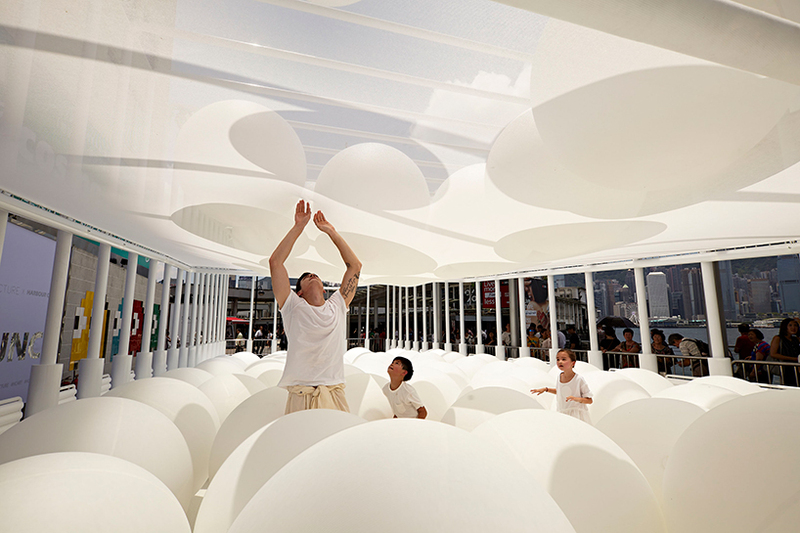 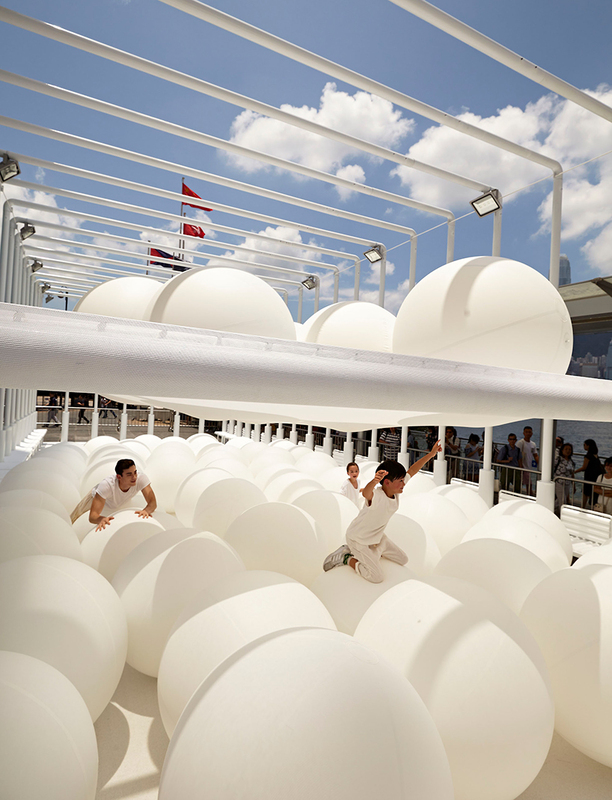 ‘bounce’ is an interactive installation set in the commercial district of harbour city that allows visitors and passersby to roll, lift and toss hundreds of supersized white balls, each spanning one meter in diameter. 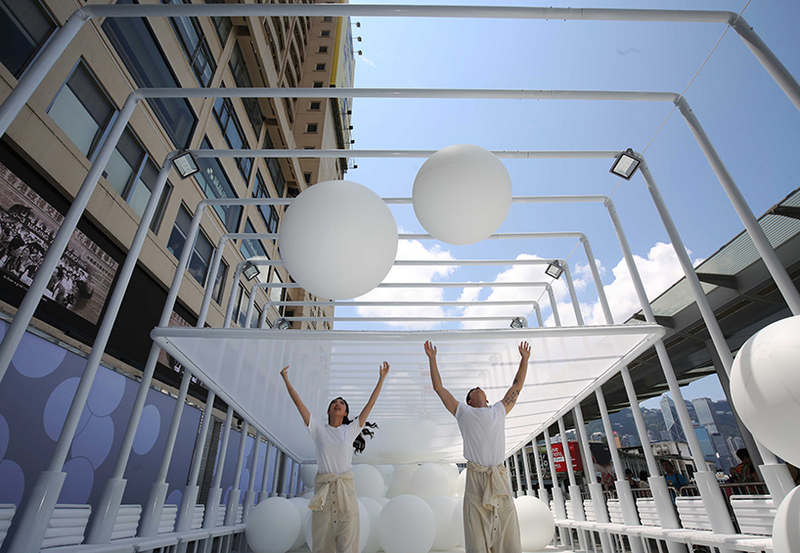 configured in an outdoor stadium defined by a series of steel white frames, the public art installation encourages visitors to create their own playing experiences. 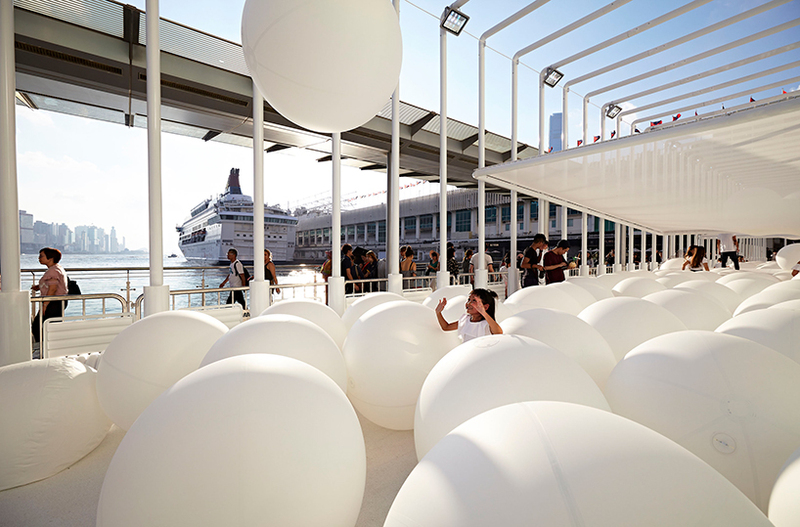 indoors, snarkitecture has created a massive invasion of balls at gallery by the harbour, an exhibition space on the site of the shopping center. 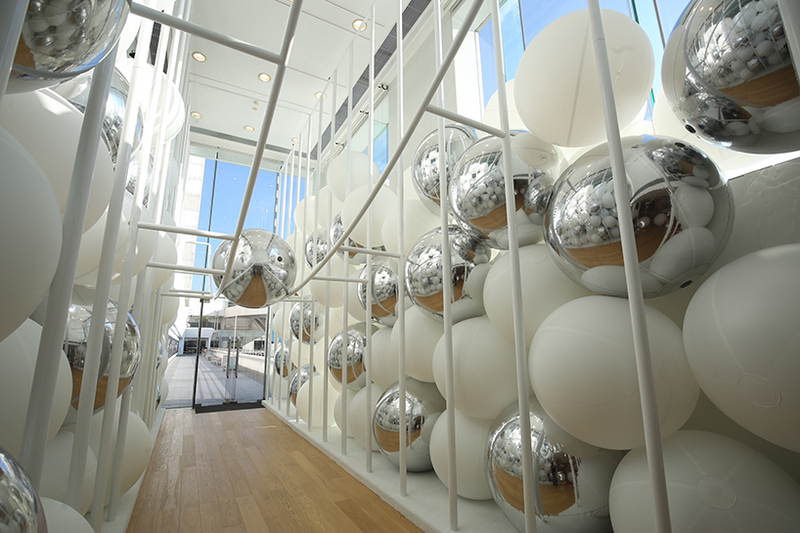 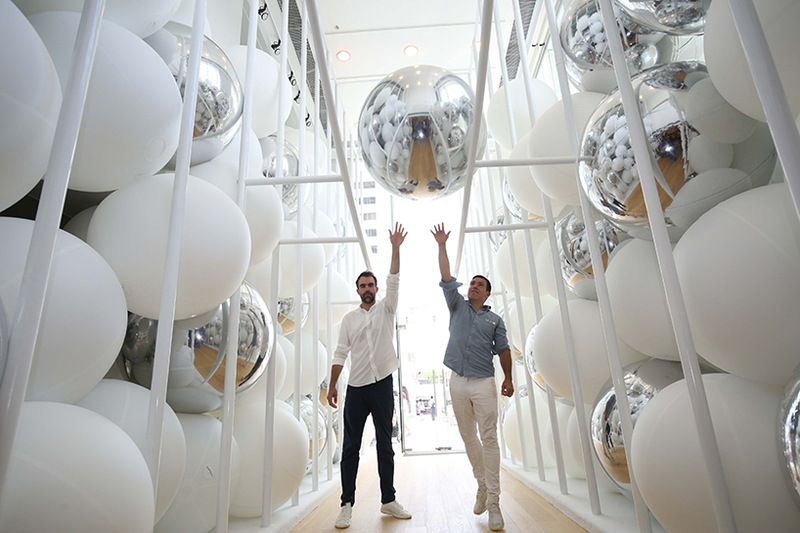 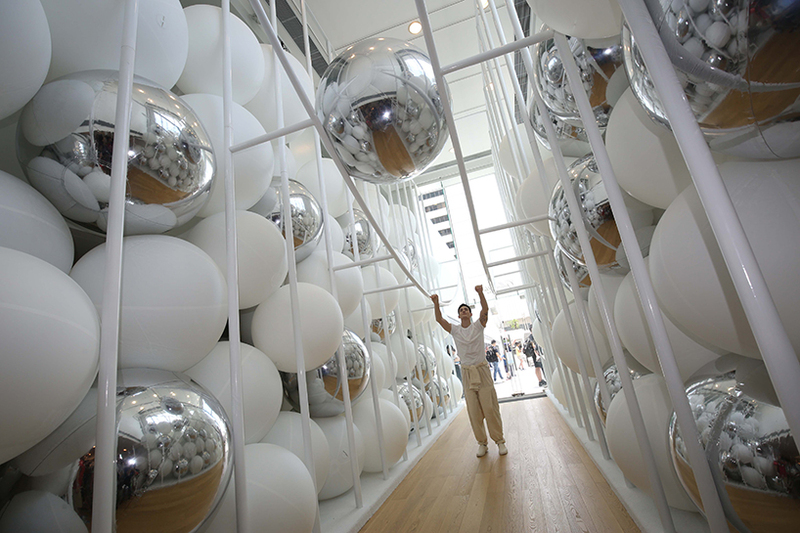 the installation echos the theme of ‘bounce’ by infilling the walls with white and silver spheres. 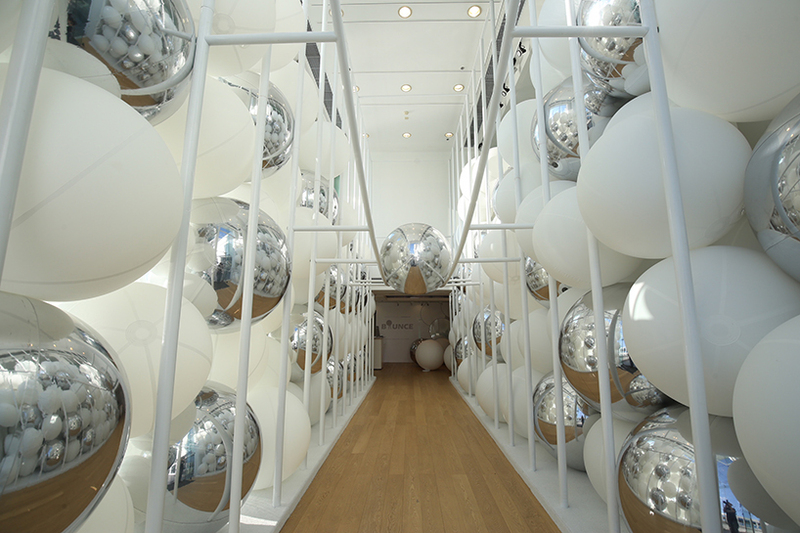 visitors are invited to interact with the orbs and tower overhead. 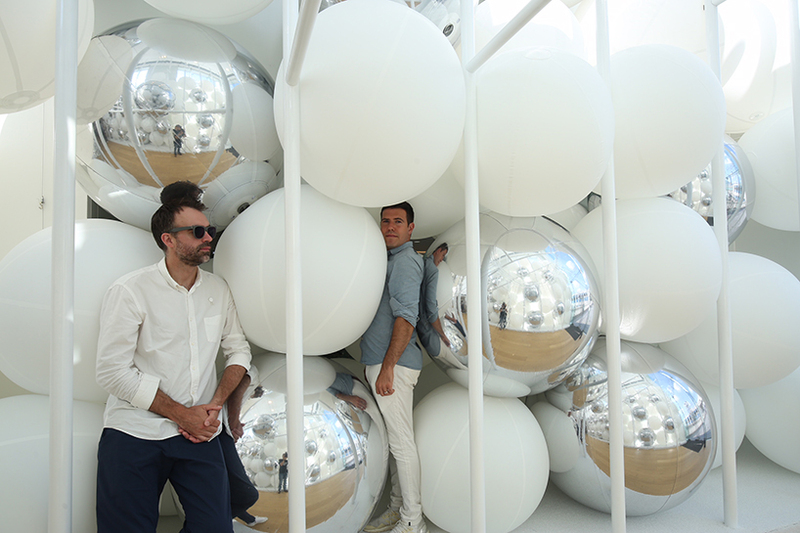 the project underscores snarkitecture’s investigation of the boundaries between art and architecture — a theme present throughout its monumental exhibition in washington DC currently on view.